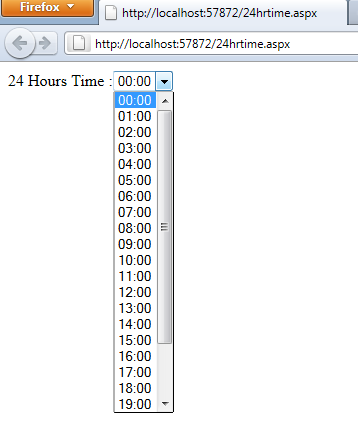 This article will show you how you can generate the list of 24 hour date time collection using c#.net and display the detail into dropdown list. 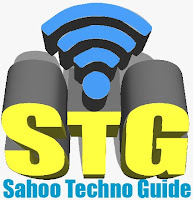 Some of my previous articles are as follows: jQuery DatePicker Calendar With Dropdown Month and Year in Asp.Net, Digital Clock in Asp.Net in C#, jQuery DateTime Picker Calender In ASP.NET MVC | How To Access jQuery DateTime Picker Calender Value in MVC Controller. So for his article first we will create a new asp.net application and add a dropdown list into it. After adding dropdown list your .aspx page will look as shown below. Now check the code for getting 24 hour time and making collection. In above code I am passing a dummy date with 00:00:00 time and retrieving time from the incremented time by hour.